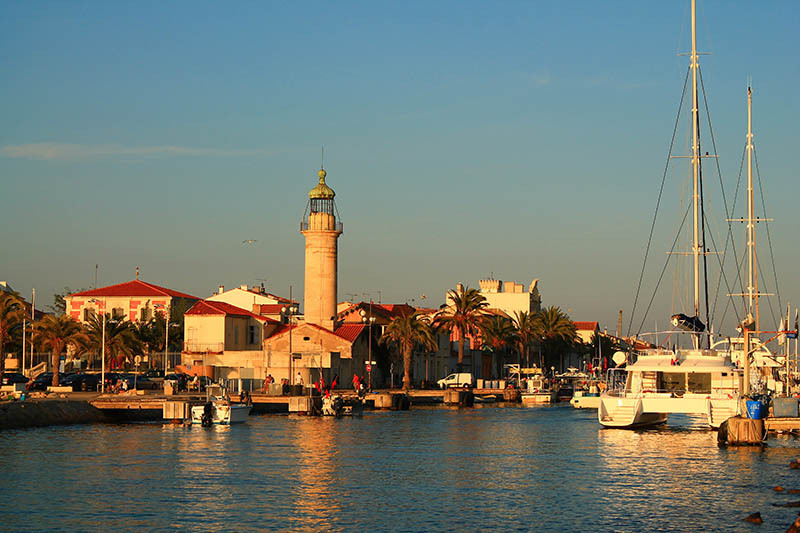 This is a lovely 4-day tour between Provence Sauvage and the Camargue. 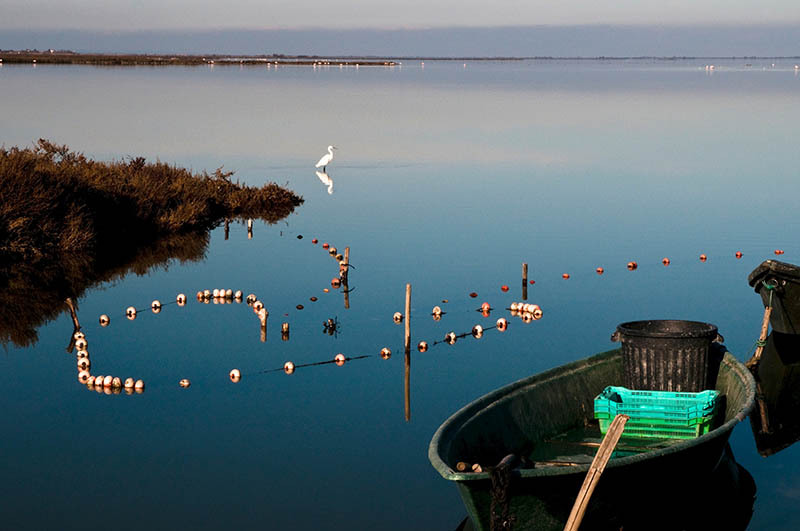 After exploring the surroundings of the Berre, Arles and Martigues lakes, you enter Camargue. A vast expanse where the sky celebrates its nuptials with the sea each day. 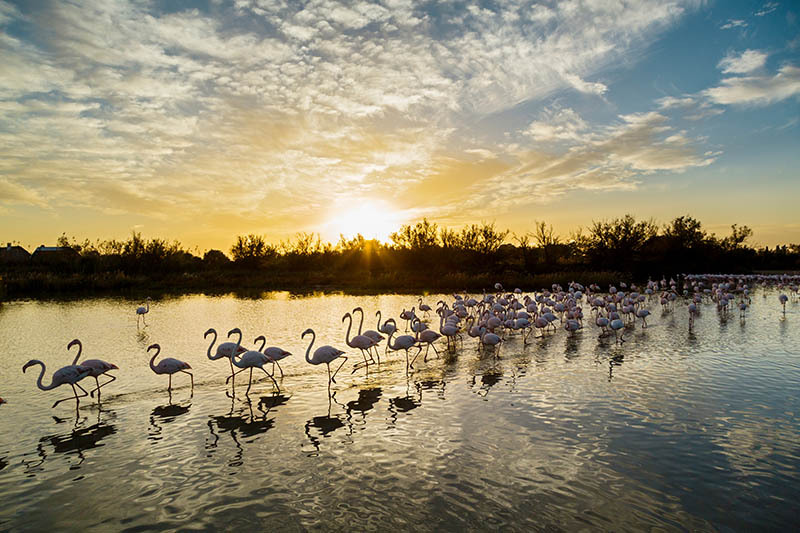 With herds of black bulls and graceful silhouettes of flamingos suddenly taking flight, the Camargue forms a unique environment. On this first day, you are exploring the west side of the Berre lagoon. 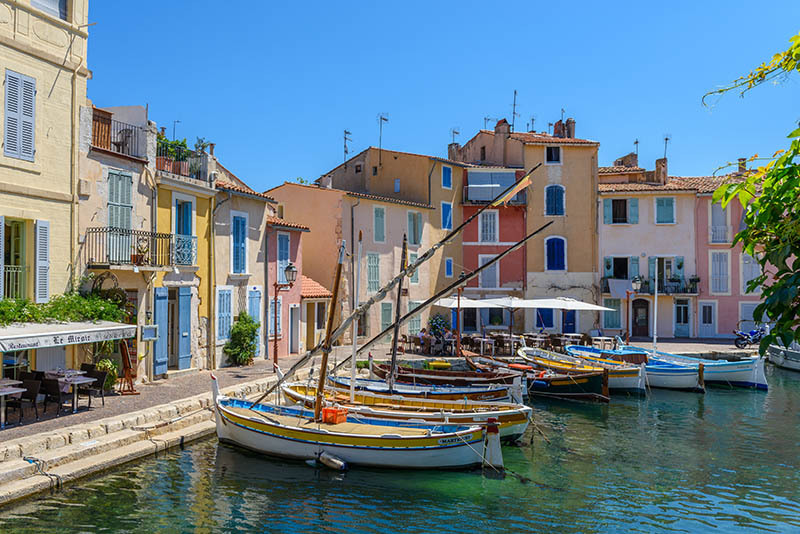 Located on the edge of the Berre lagoon, connected to the sea by the Canal de Caronte, Martigues has undergone considerable development following the installation of the Lavéra port complex. 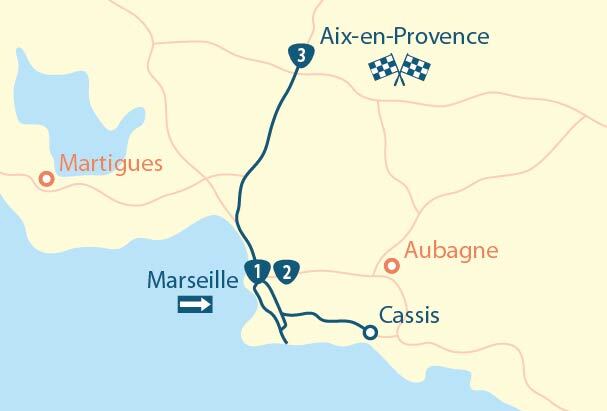 Approaching from Marseille, after crossing the Caronte viaduct, you leave the highway heading towards Martigues-centre. 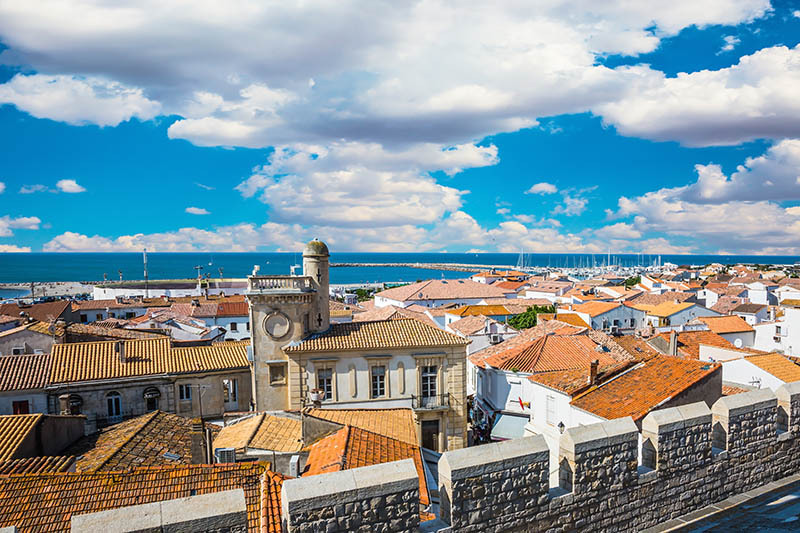 The city centre is divided into three districts, connected by bridges: first you cross Jonquières (very commercial with narrow streets lined with shops), then l’Île (historic with its canals) and finally Ferrières (administrative, with the tourist office and Ziem Museum). 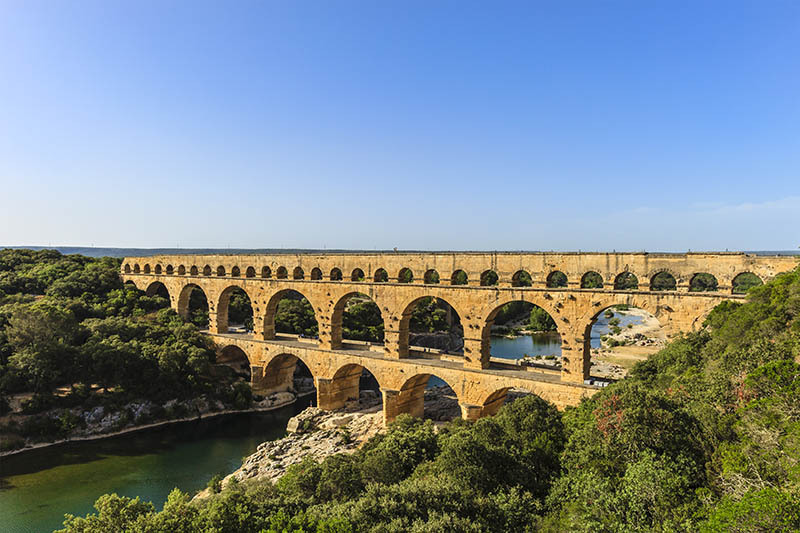 After lunching in the Martigues sunshine, drive out to the archaeological site of Saint-Blaise. The Oppidum is in the form of a spur. Its natural defenses, large vertical cliffs, are reinforced by ramparts situated on the more accessible slope that dominates the Lavalduc valley. A must see! Head to Arles at the end of the day to spend the night. 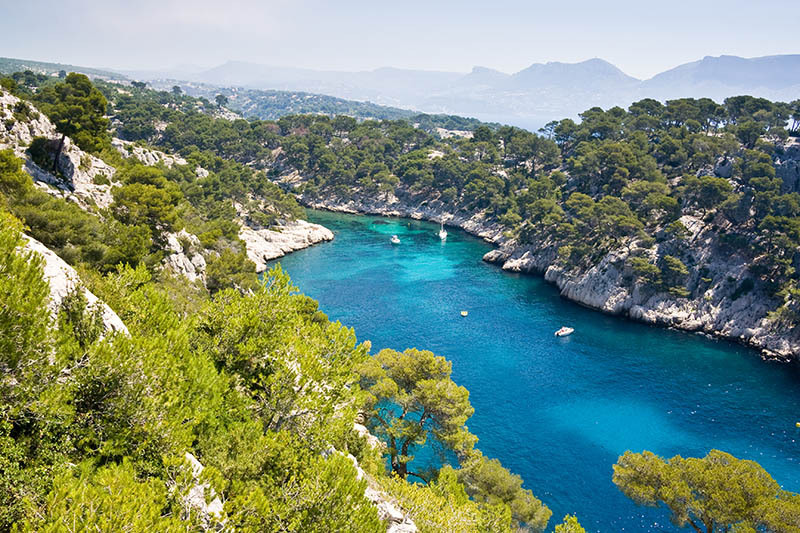 MyTripTailor advice: the beaches in Martigues are remote but the Carro beach is accessible via a cycle path. 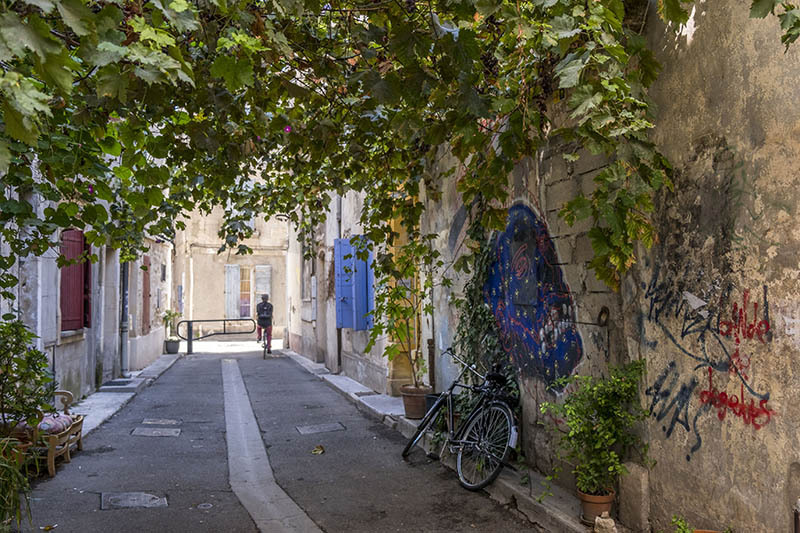 If you wake up in Arles on a Saturday morning, market day, there’s nothing like walking on the Boulevard des Lices to get a feel for the city. The colourful stalls lie beneath tall plane trees, alongside the café terraces. 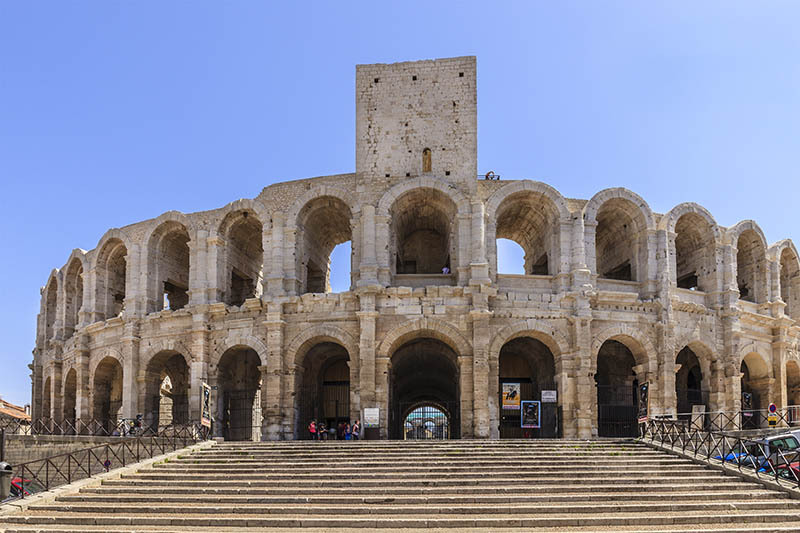 Via the Jardin d’été, then the restaurant lined Rue Porte-de-Laure, you will reach the ancient Arles district, that opens up before the majestic amphitheatre while, on the left, among pines and larches, stand the columns of the ancient theatre that is open for visits. 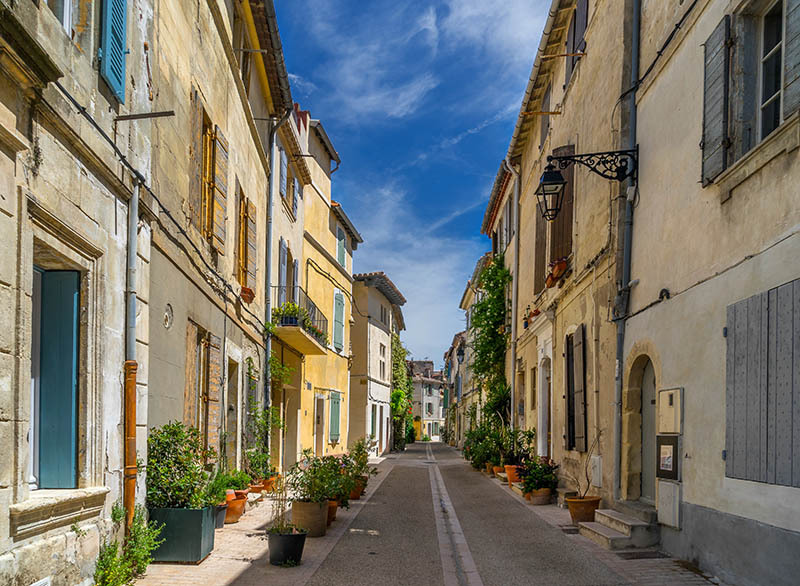 Spend another night in Arles before taking to the road the next day for the Camargue. MyTripTailor advice: don’t attempt to take your car into the maze of alleys in the historic centre. There are car parks at the edge of Boulevard Clemenceau, at the exit of the expressway, beside the Rhone, and along the thoroughfares that surround the old town. 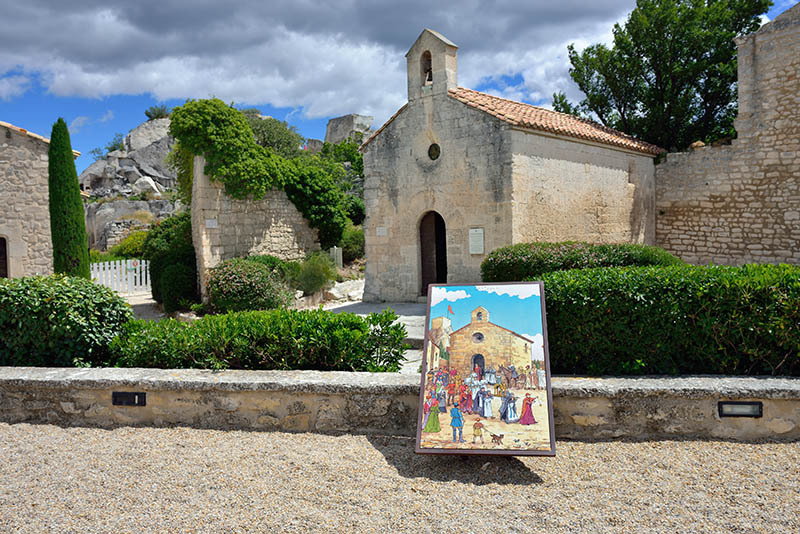 You leave Arles for the Camargue on this third day to visit the Camargue Museum. Housed in a beautifully renovated sheepfold, this is an excellent introduction to the Camargue. Videos, sound clips and objects from yesteryear give a pleasant account of the delta’s history since the 19th century, and the emergence of Camargue identity. Films and photographs on glass plates testify to how this vast natural space was at the beginning of the 20th century. You can take a picnic break in the pretty hamlet of Albaron before the chance of a bird watching session in the ornithological Park of Pont-de-Gau. 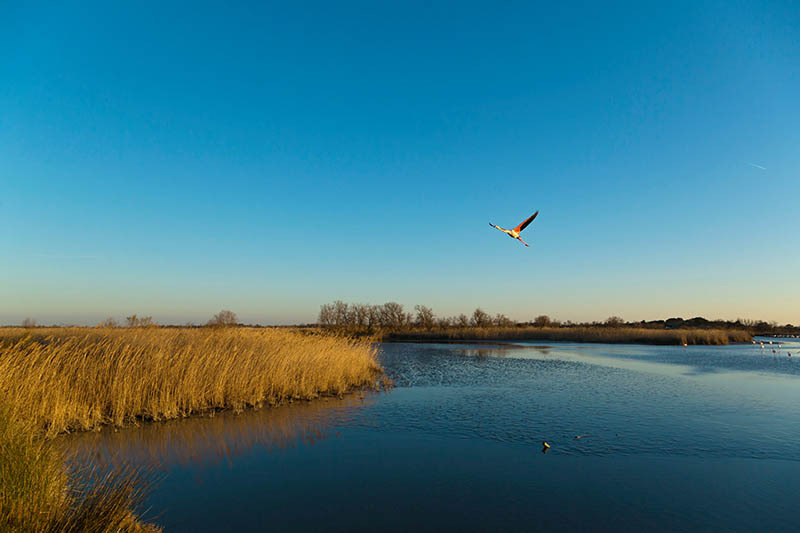 Following a route lined with information panels and observation posts, you can discover over 200 species of birds living in the Camargue, either in their natural environment or just passing through. An essential visit to ensure you know your oystercatchers from your avocets. Spend the night in Saintes-Maries-de-la-Mer. 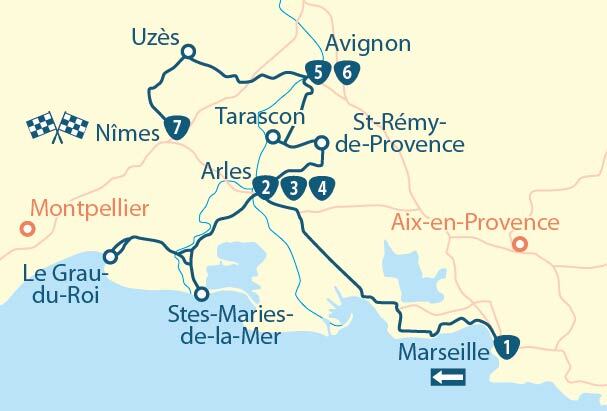 MyTripTailor advice: despite parking fees, parking in Saintes-Maries-de-la-Mer in season is utopian. Try your luck near the beaches or along the dikes that protect the town from the onslaught of the sea. The next day after breakfast, set off by bike for the day via the promenade of the dike to the sea between the Mediterranean and the Vaccarès lake. You will reach the Gacholle lighthouse where you’ll find an information centre with an observatory and an exhibition on the coast. 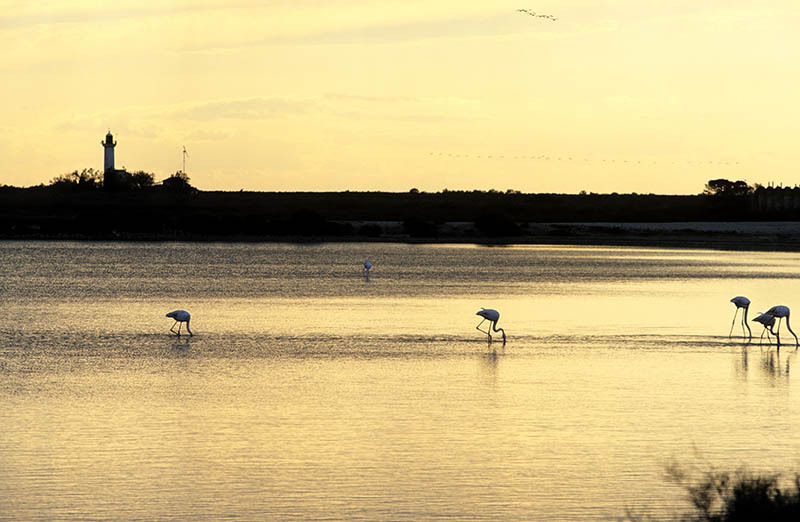 Along the way, you will find many birds (including flamingos) and typical Camargue landscapes. Arriving at the Pertuis de la Comtesse, continue south: the dike separates the Galabert and Fangassier lakes: the islet of Galabert is France’s only nesting place for flamingos. 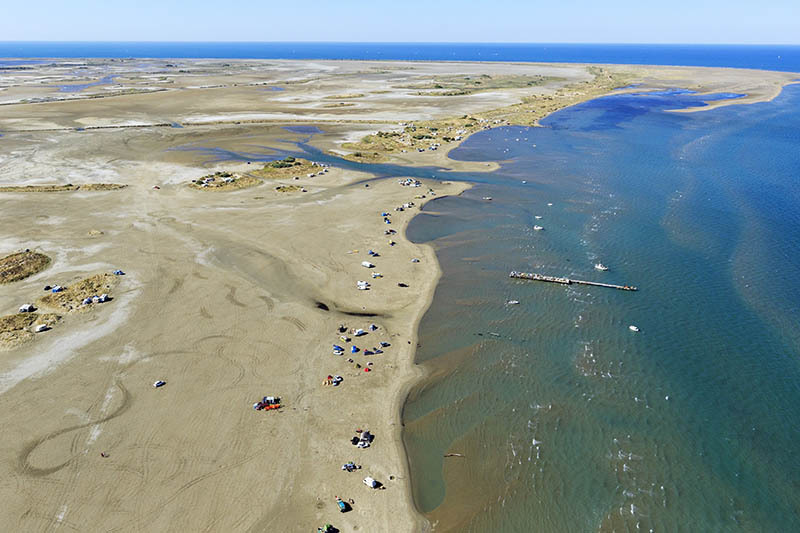 You can picnic at the Gacholle lighthouse and after a nap, take the chance to swim at the beach in Beauduc. Return late afternoon to Saintes-Maries for the sunset: magical! 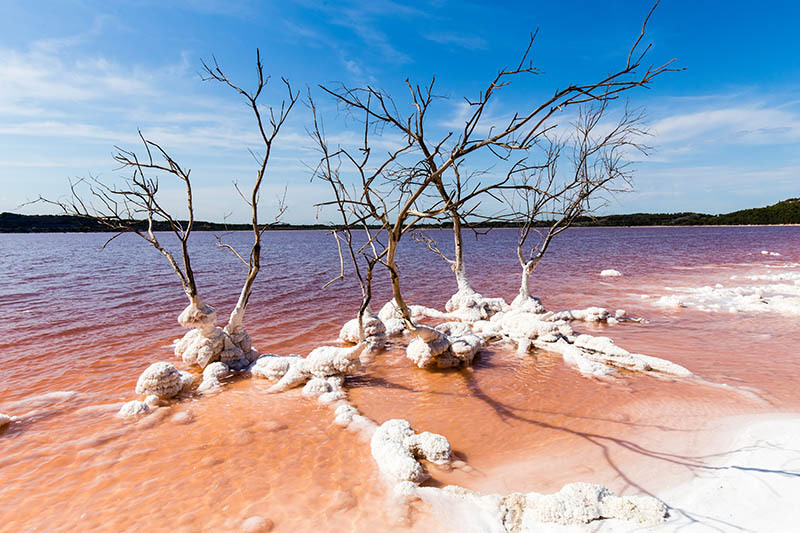 MyTripTailor advice: don’t forget to bring a repellent for the mosquitoes that plague La Camargue from May to October. 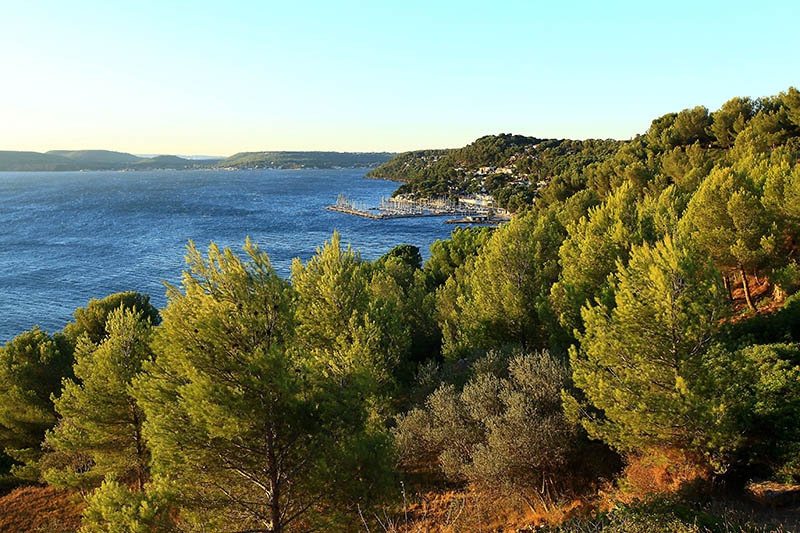 A long weekend at the heart of Wild Provence – a tour with stages, offered by MyTripTailor, the specialist in self-guided trips. Customize the stages of your tour and choose your accommodation, services and activities, there and then and in one go!